Today.Az - Which main factors to support oil prices in 2019? The commitment by OPEC+ to remove 1.2 million barrels per day of supply from the market has failed to revive Brent, Trend reports citing Fitch Solutions Macro Research (a unit of Fitch Group). "We hold to our current forecast for Brent for 2019, at an annual average of $75 per barrel," said the company. The company analysts recall that on December 24, 2018 Brent traded at around $50.5 per barrel lows not seen since October 2017, having lost more than 18 percent of its value since the cut was announced. Compared to its October high, the contract is down more than 30 percent and firmly in bear market territory, according to the report released by Fitch Solutions. trade tensions and continued positive economic numbers from the US, this drove Brent to close above $61 per barrel," said the report. Fitch Solutions believes further price appreciation will occur during 2019 , although the year will be marked with continued volatility. "In addition, there will be several key milestone events on the calendar which have the potential to drastically shift supply, including the Iranian sanctions waivers expiry in May and the six month OPEC+ production cuts due to end in June. The production cuts could be either reduced or removed but this will be dependent on market conditions, with guidance expected at the April general meeting of OPEC." 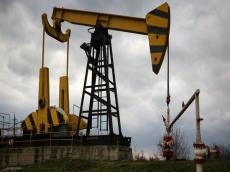 outlook for US shale growth in the second half of 2019.
for Iran and continued strong demand growth from emerging markets outs ide of China."